Rintarō makes several time leaps, but no matter what, Mayuri always ends up dying in some way. 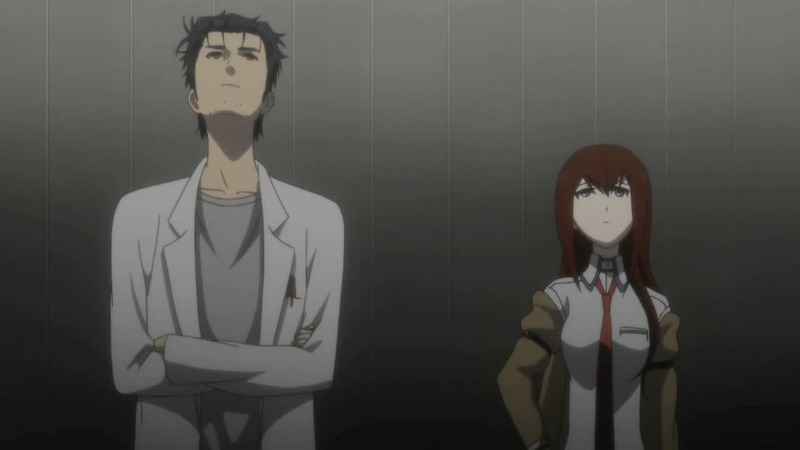 In one of those leaps, Rintarō calls out Moeka and holds her at gunpoint, making her reveal that SERN have targeted the lab due to the creation of the time machine and their plan to publicly announce it. 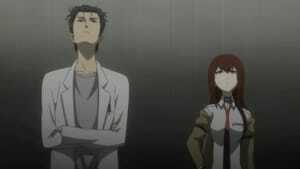 As Rintarō falls further into despair, Kurisu gets him to reveal what he knows and offers to help him try to save Mayuri. She sends Rintarō to just before she completed the time leap machine, where he tells her past self what he knows. As they discuss what the cause of Mayuri’s death could be, they are greeted by Suzuha, who tells them that in order to save Mayuri, they need to find a specific World Line. She takes them to the crashed satellite, which turns out to be her time machine, and reveals she is “John Titor” and has come from the year 2036.